Become the go-to person every organization seeks. As more than 80% of employers identify “leadership” as the top attribute they seek in new hires, the MA in Organizational Leadership program will give you the skills you need to be a highly sought-after professional, wherever your career takes you. Plus, you will learn about the “people side” of workplace leadership, how people function and how to help them reach their full potential. 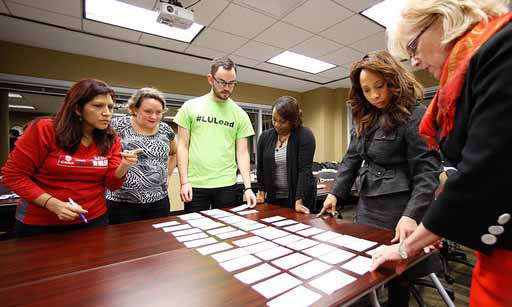 Professional and Executive Coaching – Lewis University’s Professional and Executive Coaching Certificate has been approved by the Center for Credentialing & Education (CCE) as a training program for the Board Certified Coach (BCC) certification. Develop the skills to become an effective internal or independent executive coach. This concentration is certified by the International Coach Federation. Learn more with our Coaching Concentration FAQ. Organizational Management – Obtain the management tools, leadership skills and understanding of human behavior to ensure employees work together efficiently. 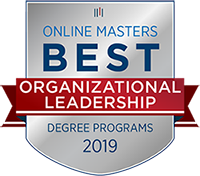 Non-Profit Management – Named among the Top 20 Online Master’s Programs in Nonprofit Management by Top Management Degrees, develop skills to manage employees and volunteers, work as an effective board member, plan events and fundraisers and manage culturally diverse organizations. 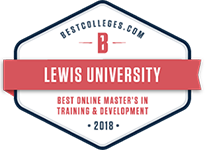 Training and Development – Recognized for the online master’s in Training and Development by Best Colleges.com, the U.S. Bureau of Labor Statistics projects a 10% expansion in this field over the next 8 years. Enhance organizational effectiveness through training design and implementation, maximizing employee potential and aligning organizational outcomes with culture. Higher Education, Student Services – Learn how to successfully administer student services and the functional workings of student affairs departments. View admission requirements, program objectives, curriculum and more. 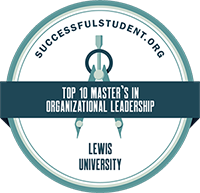 Read what industry professionals and alumni are saying about the Master of Arts in Organizational Leadership program. For added convenience, we offer this degree completion program in a completely flexible online format. Not sure if you can complete a full master's program? Enroll in a certificate program and the credit you earn can be applied to your master's degree at a later date. Visit the Organizational Leadership Certificates page for more details. Ready to break through to the next level in your career?